Historically anti dandruff brands have gotten rid of flakes, but the experience has left much to be desired! Head & Shoulders has solved this by taking their anti-dandruff shampoo and combining it with the No. 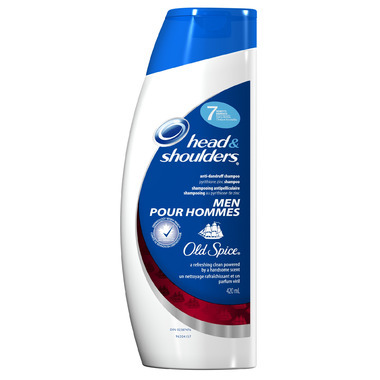 1 male scent brand to create Head & Shoulders Old Spice Dandruff Shampoo - an amazing clean powered by a handsome scent (Pure Sport). Finally, the anti dandruff power you need with the scent you want! This advanced formula relieves scalp itch, dryness, irritation and helps prevent flakes while improving hair and scalp health. This is a great smell also hair stays fresh and clean would buy again..